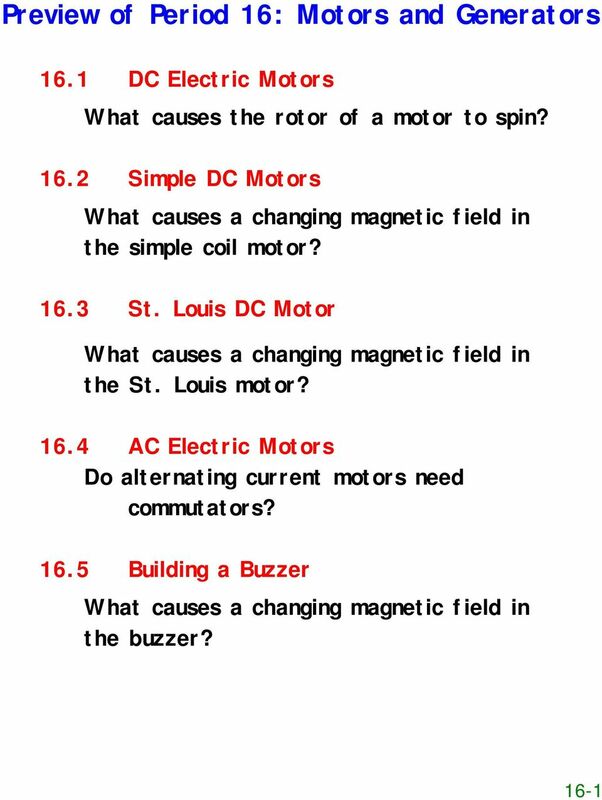 Download "Preview of Period 16: Motors and Generators"
DC GENERATOR THEORY. 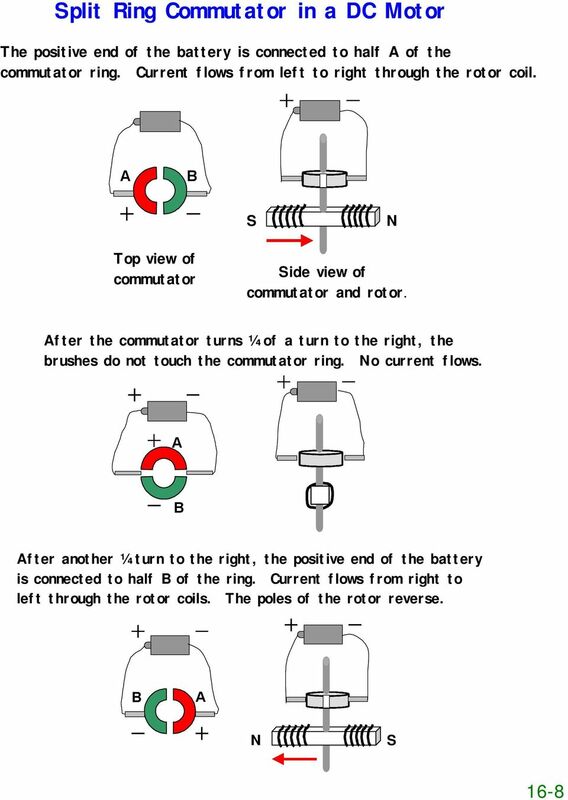 LIST the three conditions necessary to induce a voltage into a conductor. 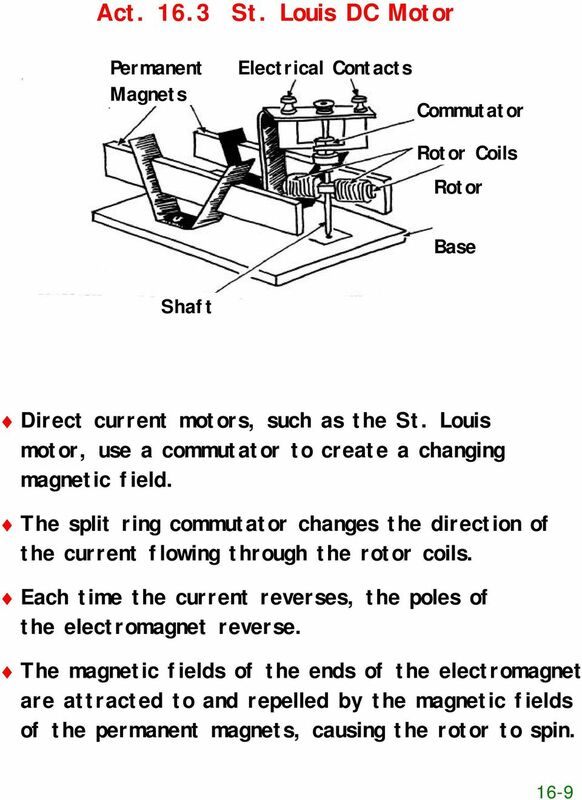 This topic explores the key concepts of magnetism as they relate to: the phenomenon of magnetism magnetic forces and fields a theory of magnetism. 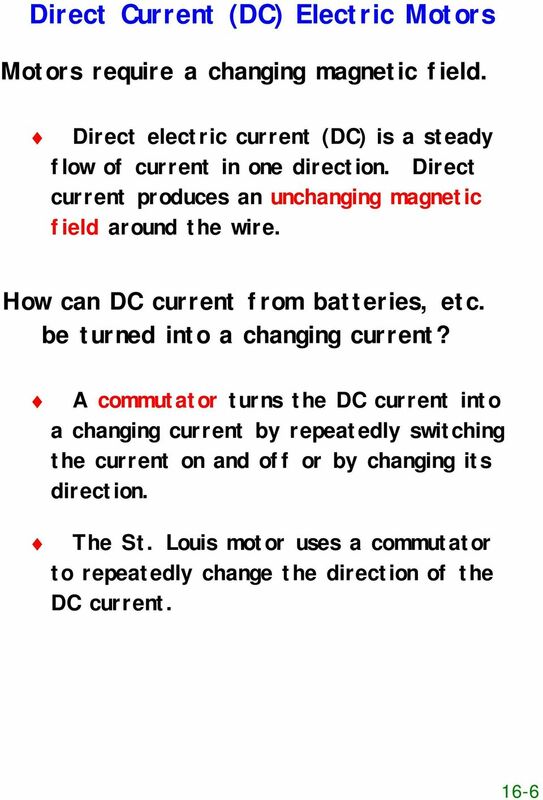 Lab 8: DC generators: shunt, series, and compounded. 1. 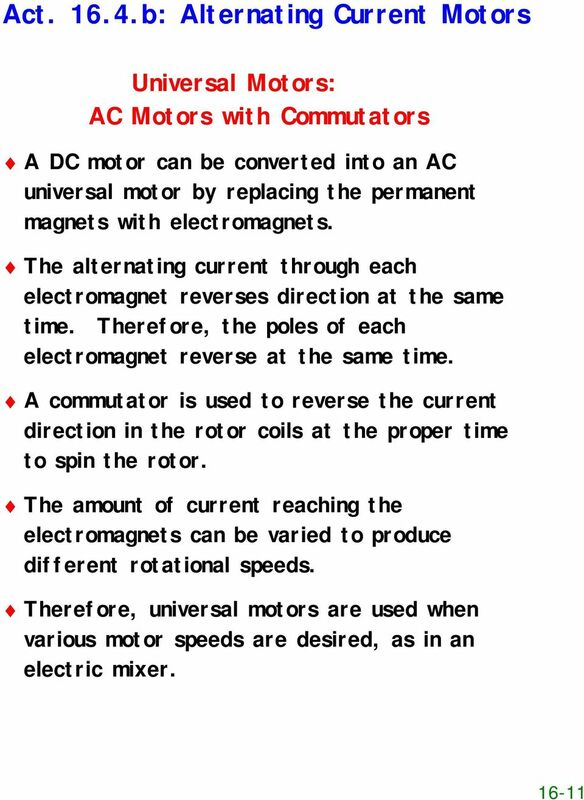 E&M induction requires change, of the intensity of a magnetic field or of motion in a magnetic field. 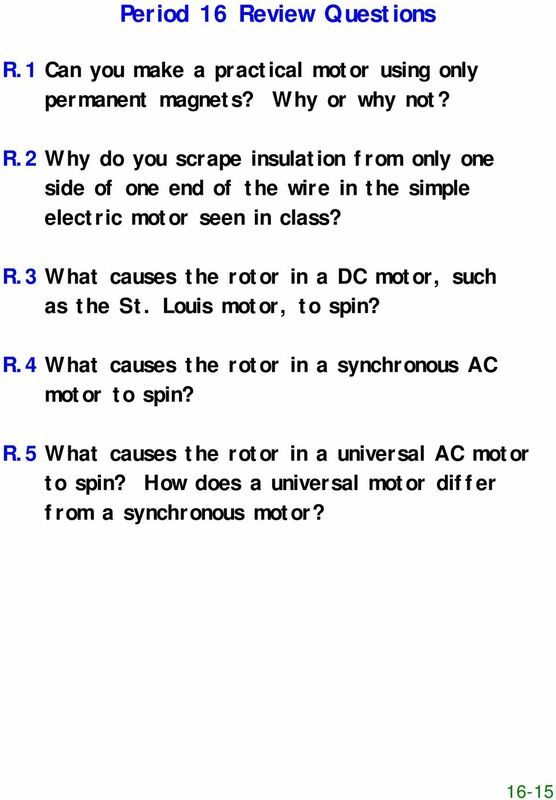 4 th Grade Science Unit A: Physical Sciences Chapter 1: Electricity Lesson 1: How do charged objects behave? 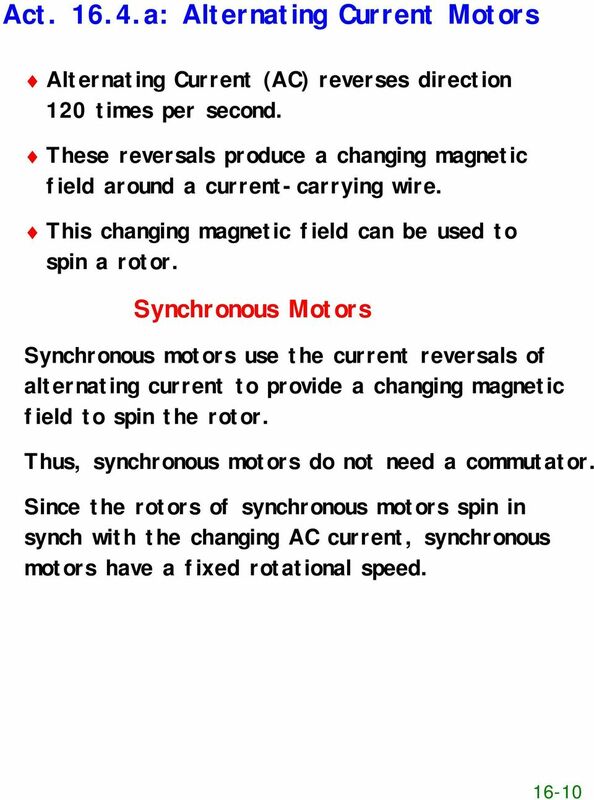 Magnetism Basics. 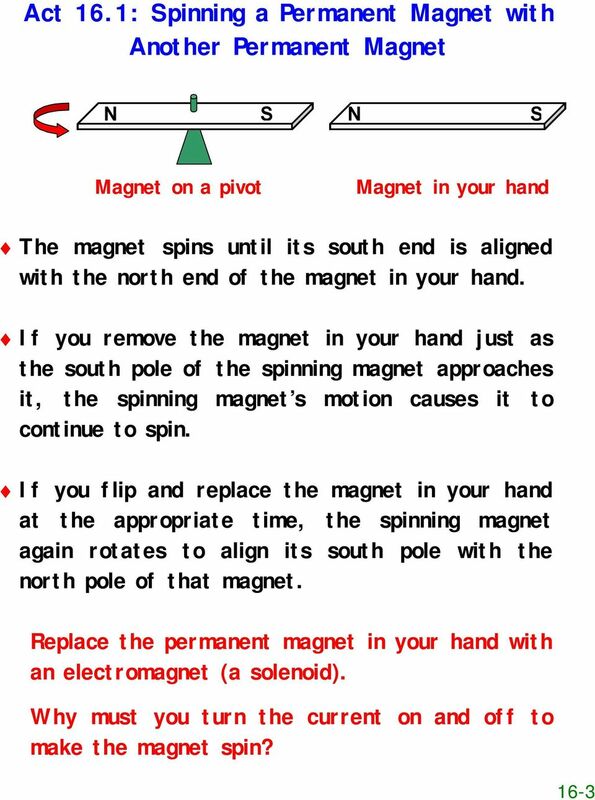 Magnetic Domains: atomic regions of aligned magnetic poles Random Alignment Ferromagnetic Alignment. Net Effect = Zero! Objectives Describe a capacitor. Explain how a capacitor stores energy. Define capacitance. Calculate the electrical energy stored in a capacitor. 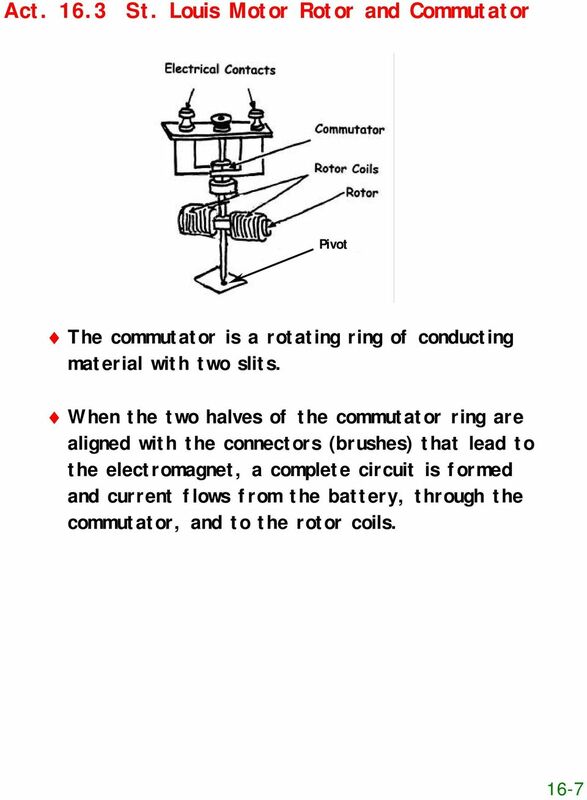 Describe an inductor. 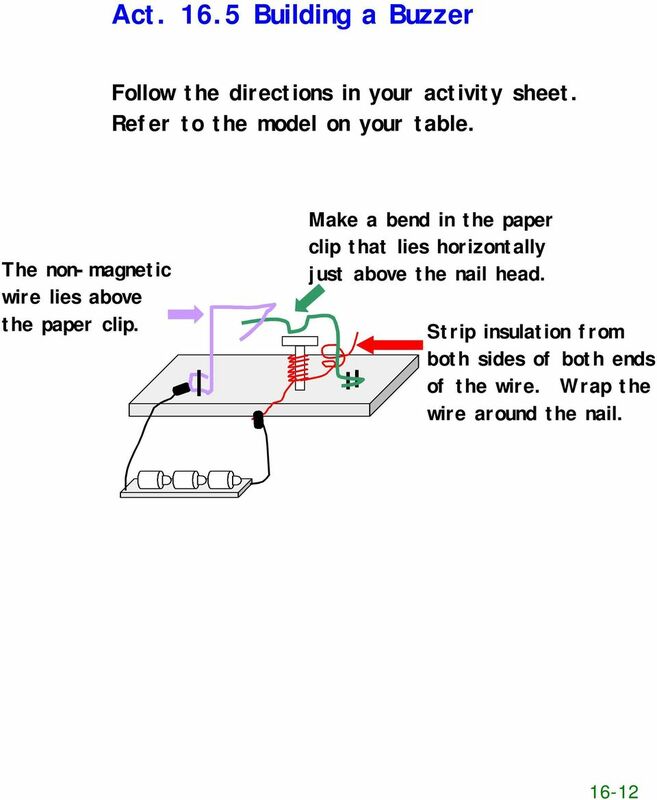 Explain how an inductor stores energy. 6. 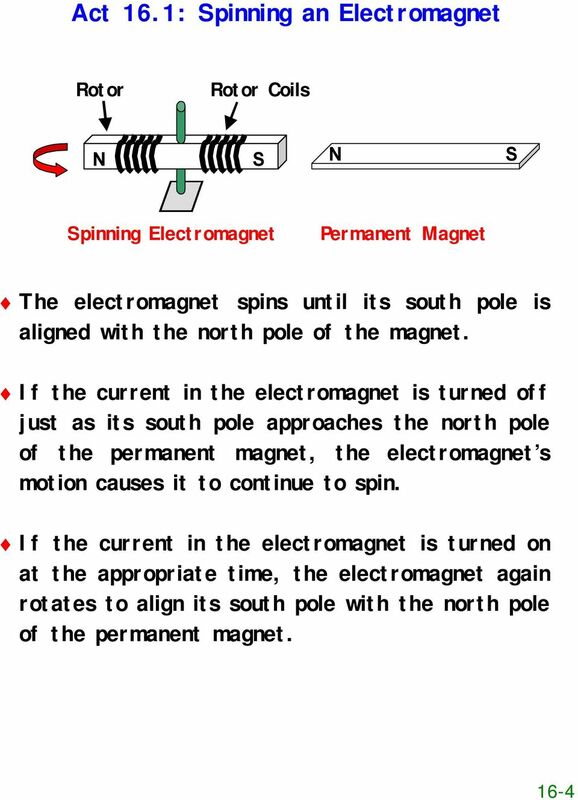 The diagram below represents magnetic lines of force within a region of space. 2. A conductor of length 2m moves at 4m/s at 30 to a uniform magnetic field of 0.1T. Which one of the following gives the e.m.f. generated? Magnets. 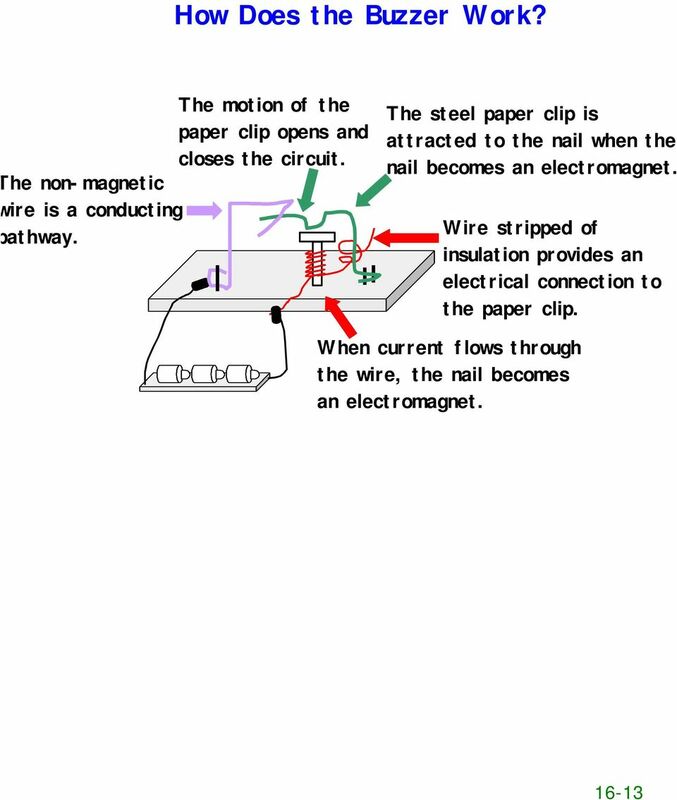 Electromagnets. and. Thomas Jefferson National Accelerator Facility - Office of Science Education http://education.jlab. 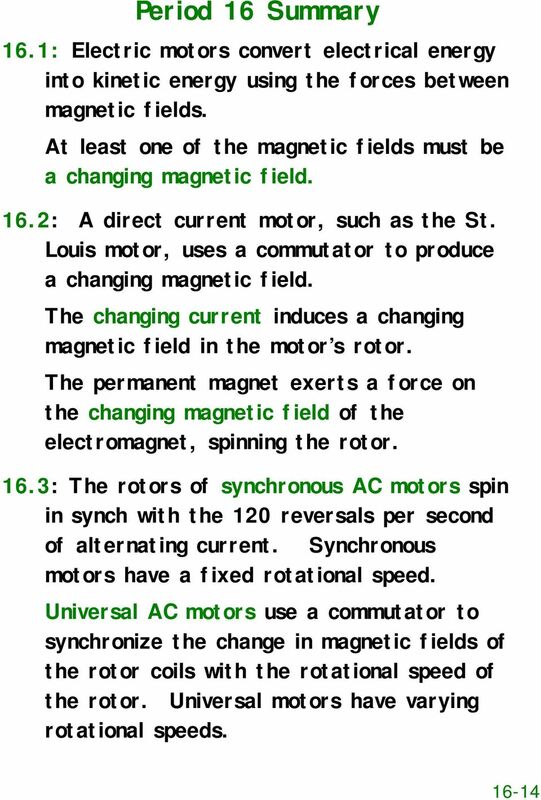 Basic Magnetics. 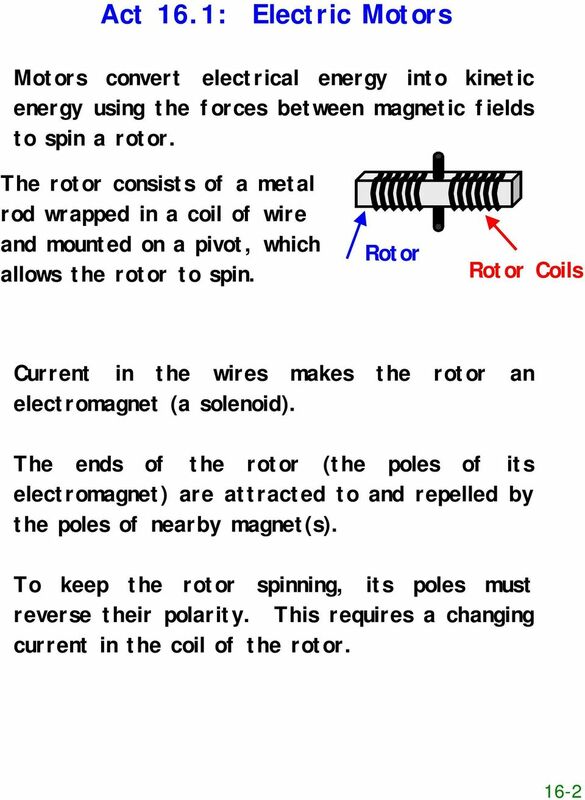 The two main properties of magnets are: A) Like poles repel. B) Unlike poles attract. Equipment: Power Supply, DAI, Universal motor (8254), Electrodynamometer (8960), timing belt. 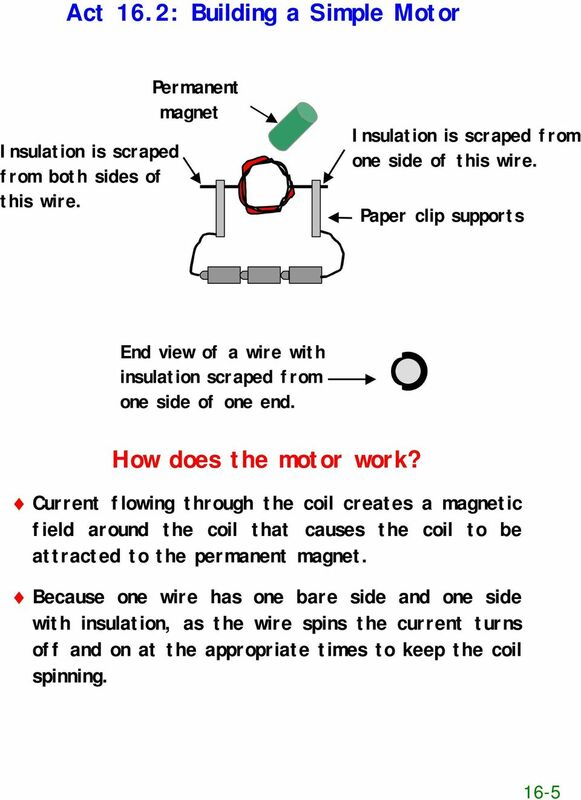 Educational Innovations Next Generation Science Standards: SS-11 World s Simplest Motor MS-PS2-3 Ask questions about data to determine the factors that affect the strength of electric and magnetic forces.